Ever reach a point where you have so much to do but can’t seem to gain any traction to actually get it done? I was there last week: a to-do list a mile long, plenty of time to do it, but still sitting their aimlessly staring at the list. There were even things on the list that I wanted to do, but I felt guilty not doing the “musts” first. Knock out the easy tasks. — Even if they are Priority C on your list. If it’s quick and easy, get it done. Being able to cross off a bunch of items fast can give you major momentum! Eat the frog. — Tackle the most-dreaded item on your list. Most likely it won’t be as difficult or time consuming as you thought. Get some perspective. — When I’m really stuck, I get a second opinion on my list. Having a friend that I can trust to help me re-prioritize and who will call me out on laziness or taking too much on is priceless. Do something fun! — Pick a task that you’re looking forward to and bump it up the list. Sure, it may not be the most important task, but it will give you a productivity boost. Take a break. — If you’re like me, walking away from an unfinished list is HARD. But an hour to play with the kids or a work-free weekend to spend quality time with hubby can bring you back reenergized and ready to accomplish anything! 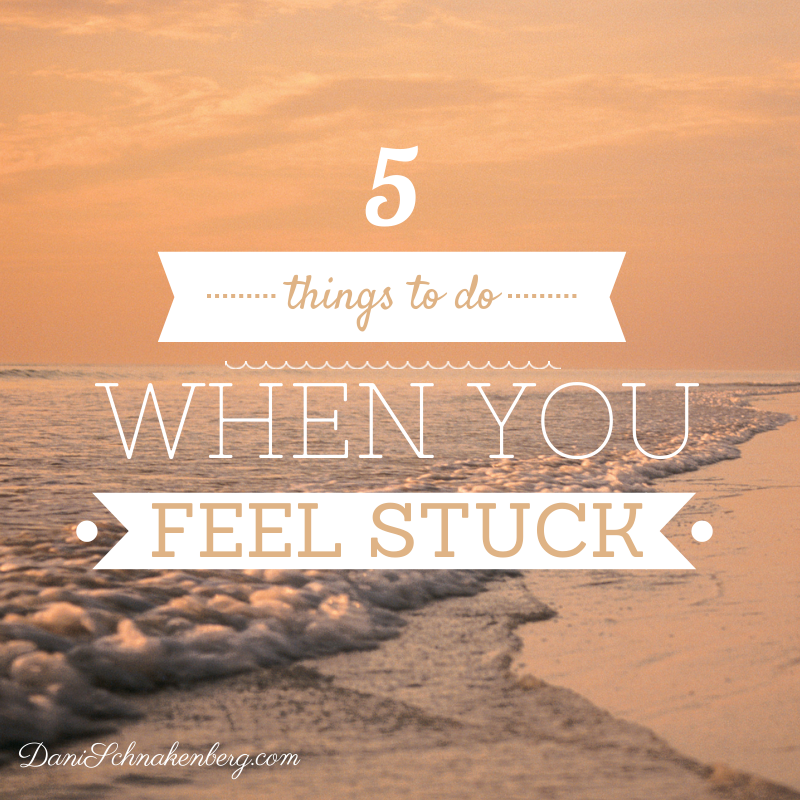 What else do you do to help get unstuck? I stop and make a drink and snack, whether it be a coffe or a glass of Gatorade mix w/water, or even just a protein bar….. I feel like it gives me a little mini boost to tackle my list. I also set little rewards for myself. For instance, when I finish this task…I will let myself have watch one DVR show for 30 mins. These little minds games with myself really help. Thank you for the tips! Great article. I do that, too! It helps so much on days where you just aren’t motivated.